Chartered surveyors and property consultants YoungsRPS is set to open its first office north of the border after recently adding new offices in Newcastle and Yorkshire through a merger with commercial and rural surveyors and estate agents, Stanton Mortimer. Concentrating on the services of farm sales, farm and estate management, landlord and tenant negotiations and farm finance, the new YoungsRPS office is located in Thornhill, Dumfriesshire. Headed by YoungsRPS director Tom Oates, this will extend the firm’s coverage to the west and to the north to the benefit of existing clients, in addition to drawing in new business. 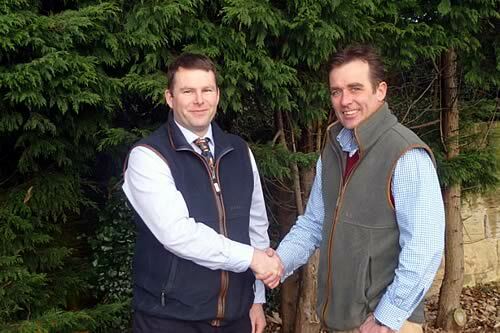 Joining Tom Oates will be new recruit, Mike Halliday who takes up the position of farm consultant. A graduate in agriculture from Aberdeen University, Mike is the third generation of his family to farm in the Thornhill area of Dumfrieshire. For the past three years he has been working as a Farm Consultant with the Scottish Agricultural College (SAC), while also retaining hands on involvement in the family farm located just outside of Thornhill. Scottish heritage is strong throughout the YoungsRPS Scottish office team. Youngs previously had an office in Forfar which was the base for one of the current directors Graeme Bruce, while Tom Oates, who comes from a borders farming family, has spent extensive time practising throughout Scotland. This is however the first Scottish office for the amalgamated company of YoungsRPS. “This is an exciting move for the company as well as for Mike and myself. Over recent years at YoungsRPS we have built a significant client base throughout Scotland, including a large following in the Isles. We believe the time is now right to offer these clients an enhanced service by opening a dedicated rural office in Scotland.